CBE caught up with Erik Knutson, CEO of CanCore Concepts, Inc (CCC) and Denver Packaging Company (DPC) and and COO Travis Tharp last week and wanted to share an update on the company, best known for it’s Keef Cola brand. Since we first interviewed Knutson back in December, 2015, a lot has changed. The company now has over 50 employees and distribution of Keef Cola products in Colorado, California, Arizona – Oregon, Nevada, and Puerto Rico are not far behind. CBE: Thanks for joining CBE for an update, Erik & Travis. A lot has changed in the industry since we posted your story back in December, 2015. What is new at CanCore Concepts, Inc (CCC) and Denver Packaging Company (DPC)? Erik Knutson: We have been very busy the last 18 months executing on a lot of the topics we discussed back in December, 2015. We have launched with manufacturing partners in multiple new markets (CA, AZ) and have more on the way in 2017 (Puerto Rico, NV, OR). In addition, we have consulted on applications across the country and continue to build out our network of partners in new states. We are a named operating partner on a Pennsylvania application and have even acquired the first license to be issued in Jamaica. My brother’s company, Isolate Extraction Systems, has also grown very quickly, with over 70 machines currently in production in the U.S and Canada. Erik Knutson: Our biggest innovations have been on the product side of the business. We just launched Keef Sparkling, an all-natural zero-calorie, zero sugar sparkling beverage. It is the world’s first zero-calorie adult beverage and the reception has been amazing. It’s a 10mg product that we feel can become a social substitute for alcohol. Our capabilities in infused beverages have allowed us to experiment and address what the market wants – and not everyone wants a soda, especially in health conscious states like Colorado and California, for example. We also spent about 9 months developing the OilStix Ultra Vaporizer. It is a vape pen designed to address the key customer issues associated with vape pens such as consistency, clogging, battery issues and more. The OilStix Ultra is currently launched in Colorado with Arizona and California coming online very soon. We’ve taken these characteristics and will be launching a single unit rechargeable “disposable” pen in the coming weeks. CBE: What kind of research did you do prior to launching these products, and what do you see as the upside? Erik Knutson: We firmly believe that Keef is a viable substitute for alcohol in a social setting. To that end, we monitor overall beverage trends closely and have watched the rise of sparkling beverages versus the decline of carbonated soft drinks over the past few years – with 2016 carbonated beverage consumption reaching a 30 year low, according to Fortune.com. Considering that the U.S. beer industry is close to $100 billion annually, if we can become a viable substitute that resonates with consumers, it’s big business. Erik Knutson: Kiva Confections is our manufacturing partner in California for Keef Cola and we have been able to quickly ramp our availability to over 300 dispensaries throughout California with them. They have a great team and a strong infrastructure. Denver Packaging also plans to bring Kiva to Colorado later this year. We are excited about that launch, given the wide recognition of the Kiva brand. We feel the combination of our extensive distribution network and Keef’s reputation in Colorado is going to make the Kiva launch a big success later this year. Both companies bring a lot to the table and we look forward to continuing to build upon this relationship. Our Arizona manufacturer is AZ Grassroots/K.I.N.D. Concentrates. Daryll DeSantis and Mike Colburn have built a top-notch operation in the desert – including Level Up, one of the top dispensaries in the country, according to Leafly – and have also been phenomenal partners. Their distribution footprint covers over 70 of 90 licensed Arizona dispensaries. We have gotten Keef products into over 45 of these accounts in just a few months. Arizona is a fascinating medical market that did over $500 million in sales last year and we couldn’t be happier with our strategic partnership there. CBE: CCC & DPC have experienced quite a few ups and downs since first launching. What have you learned, what hasn’t worked to your expectations and what have you done to avoid similar experiences? Erik Knutson: We constantly talk about avoiding making the same mistake twice. As you mention, we have definitely had our ups and downs, but we’re still standing and have proven to be very resilient. A key part of this is the people we have brought on board. We have traditionally been a friends-and-family business and have used that philosophy for hiring in the past – which has brought us mixed results. We have had some great hires who have been with us a long time, but also a few that haven’t necessarily been the best fit. We’re trying look back on the missteps as learning experiences that will ultimately make us better. CBE: Finding great talent can be a challenge in the cannabis industry. Tell us who you have added and how you sourced new talent. Erik Knutson: As we have grown, we have been able to recruit some top talent from other industries. Travis, our COO, comes from the tech industry where he launched and scaled 30+ markets for Handy. Chuck Josenhans, our CFO comes from private equity where he led a roll-up in the healthcare space. For new talent, we are tapping into our respective networks, as well as utilizing some specialty recruiters for specific functional roles. 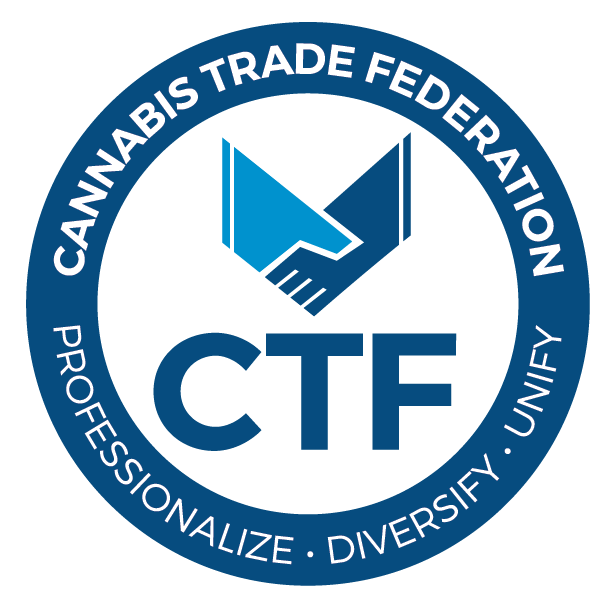 You can definitely see that the cannabis industry is becoming a more mainstream option for top tier professionals. CBE: What business activity(ies) has or have surpassed your expectations? Erik Knutson: We have always believed that an infused beverage was the logical progression of social cannabis use, but even we were pleasantly surprised to see that Keef Cola has become one of, if not the top, selling edibles by volume in Colorado in 2016 according to BDS Analytics. CBE: Who are some of the best-in-class vendors that CCC & DPC has engaged with, and whose products or services are essential to your integrated operations? Erik Knutson: Obviously, Isolate Extraction Systems has been a key partner. The companies work very closely together to provide a unique combination of extraction and product creation capabilities and we look forward to continuing to grow together. On the packaging side, Drug Plastic Glass has been great, helping us to develop new dosing caps and innovate on the packaging side. We also helped bring LeafLink’s wholesale ordering system to Colorado and were the initial test company for them. Outside of our supply chain, we have started to really focus on building out our core infrastructure so that we can scale and work with a large number of organizations. We’re starting to use tools such as Basecamp for project management and ticketing systems to help manage customer service. CBE: How large is your staff now and how many retail stores does CCC & DPC expect to have distribution in by the end of the year? Erik Knutson: Keef is currently in over 750 dispensaries across three states and we expect to be in over 1,000 by the end of the year, as well as adding a few more manufacturing partners in other recreational and medical states. Across our organizations, we have 50 employees. CBE: Has CCC & DPC diversified its revenue streams or streamlined operations and efficiency in light of market dynamics and pricing? Erik Knutson: Through the course of engaging in multiple license applications and packaging deals with manufacturing partners, we have found that a lot of companies in this space are dealing with similar operational and financial reporting issues and have begun to offer services designed to help our partners standardize reporting and speed up their time to market. We are currently building out systems to help manage multiple licensee operations versus a single shop and that has brought a lot of new opportunities and challenges. For example, we are working with a large online printing entity to provide a custom print portal to our manufacturing partners – saving them cost and allowing us to streamline branded content. It’s exciting, but we’re figuring it out as it comes. CBE: What is next for CCC & DPC? Erik Knutson: We have some additional product launches upcoming in our existing and new categories where we believe our brands’ reputation for product innovation and quality are going to help us a lot. We also have new markets coming online such as NV, OR, WA, Puerto Rico, Jamaica and potentially Pennsylvania. We are very excited about the next 6-12 months and are focusing on executing on our plan! Ownership structure/operating entities: Serovita Holding Corp. – owns significant interest in CanCore Concepts (Keef Cola, OilStix, VitaCanna), Isolate Extraction Systems, and Native Hemp Corporation. Denver Packaging is a Colorado-based manufacturer of infused products. Market Strategy/Goal: To develop the finest IP in the cannabis space and provide world-class extraction and manufacturing consulting to potential applicants across the globe. Expansion Plans: Working with manufacturing partners in CA, AZ, PR, NV, and Oregon. Consulting and partnering with multiple entities operating in the Northeast, Southeast, and Caribbean.